We have already arrived from the GCDS (Gran Canaria Desktop Summit, the joint event between GNOME and KDE). 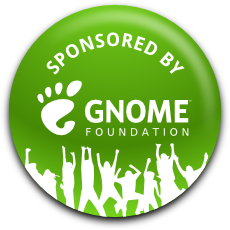 Thanks again to the GNOME Foundation for sponsoring us to come to the GCDS! The parties were great, we missed two of them (the Nokia party and the Collabora) but the others (the Canonical and the Igalia’s parties) were really great! Manolo took us to see the north west and the center of the Gran Canaria island. It was amazing and it’s really beautiful, if you have any chance to go there go to the center of the island! As we were there I talked with him about guifi.net and he was really excited about it. Afterwards I talked with other local guys and all of them see a lot of potential.